For more information concerning upcoming chapter events, please contact PutnamHillDAR@gmail.com. 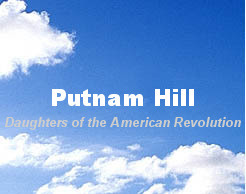 Celebrate the 120th Anniversary of Putnam HIll Chapter! All Chapter members and prospectives are welcome with C.A.R.